Google+ may have fallen off the radar for most people, but it's actually been improving a lot over the last year. The social network used to have a bit of a problem with spam, but Google's been all-out in providing new tools for moderating content. From our vantage, it seems to be making a difference, and now Google is investing even more development into the platform. Leo Deegan, the engineering manager for Google+, has just announced that the company will soon release a "brand new version" of the app. Though it might look and behave similarly, expect significant changes under the hood. Until we get a chance to play with this new version ourselves, we won't know exactly what to expect, but it sounds like Google has put a lot of time into modernizing how the app works at a fundamental level. I can't say that performance on the old version of the app seemed to be a problem, but in his announcement, Deegan describes improvements in rendering and scrolling as well as other minor visual changes (plus a couple of known issues to expect). Separate from any benefits to smoothness, the "complete rewrites" present in the new app should also come in handy for Google when adding additional features in the future. While Google+ might not have the userbase that Facebook or Twitter does, it still harbors its own functional communities, so it'll be interesting to see how this rewrite affects those that frequent the Android app. 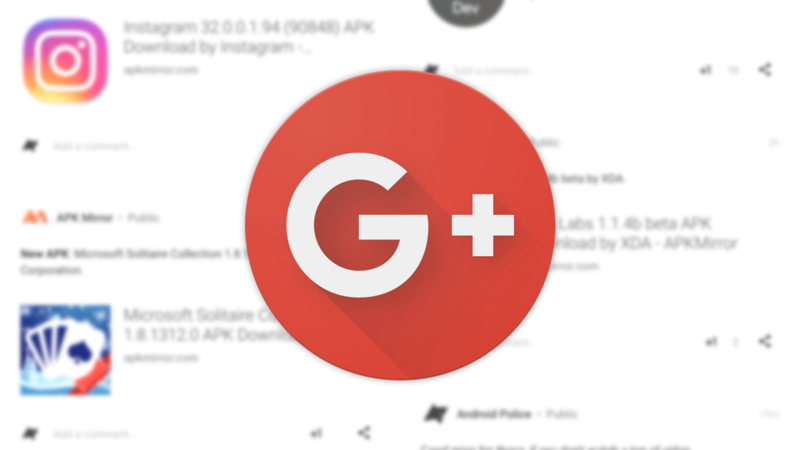 We haven't seen a new version of the Google+ APK land just yet, though it's possible these improvements may not require one to take effect—Deegan's post does say "enabling" rather than "updating." At this time information is still lacking, but once we can confirm seeing these changes in action, we'll be sure to document them. Looks like this update has hit just about everyone, and most of the visual changes we've noticed are minor. A couple of icons are a bit larger, and the overall performance of the app is much smoother, but it's the same Google+ you know and love (or hate? ).